Intervals of clouds and sunshine. High 67F. Winds S at 10 to 15 mph.. Mainly clear early, then a few clouds later on. Low around 45F. Winds SSW at 5 to 10 mph. 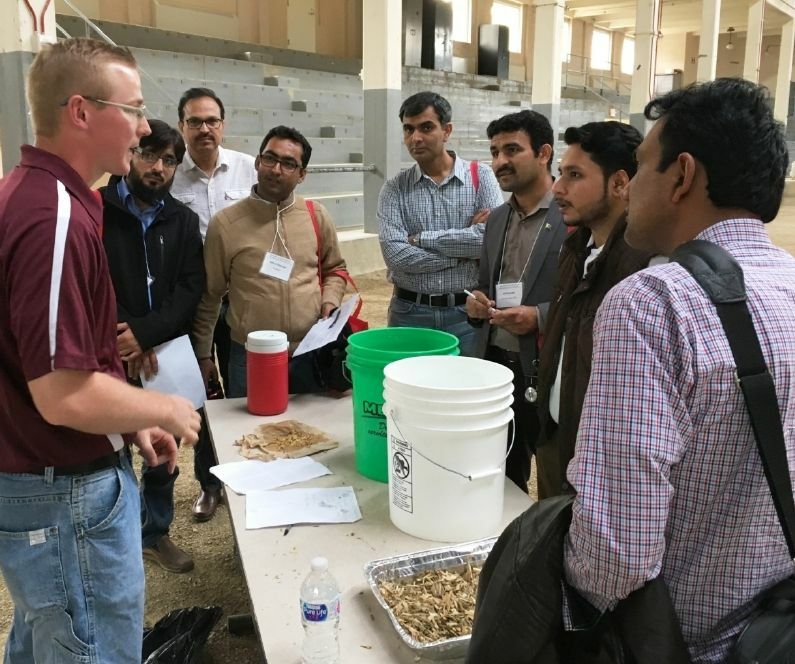 A Pakistan delegation attended a recent International Dairy Short Course at the University of Wisconsin, saying it addressed a wide range of management and marketing topics while being focused and organized. A Pakistani delegation recently attended World Dairy Expo, in addition to visiting dairy farms in both Wisconsin and California, to learn more about the U.S. dairy industry. Dairy is one of the fastest-growing industries in Pakistan – from farming to dairy processing. Demand in Pakistan for improved dairy genetics also is increasing, leading to a Pakistani delegation recently visiting dairies in the United States. MADISON, Wis. – A delegation from Pakistan brought dairy insights from their home to the recent International Dairy Short Course for Dairy-Herd Management. Asmet Raza of the Islamabad office of the U.S. Department of Agriculture’s Foreign Agricultural Service was among the Pakistanis attending. Part of his job is coordinating activities to help build Pakistan’s livestock and dairy industries. Raza said dairy is one of the fastest-growing industries in his country – from farming to dairy processing. Demand in Pakistan for improved dairy genetics also is increasing. “In the United States, we have the chance to visit with universities and cooperatives, and the information they provide is extremely helpful,” he said. 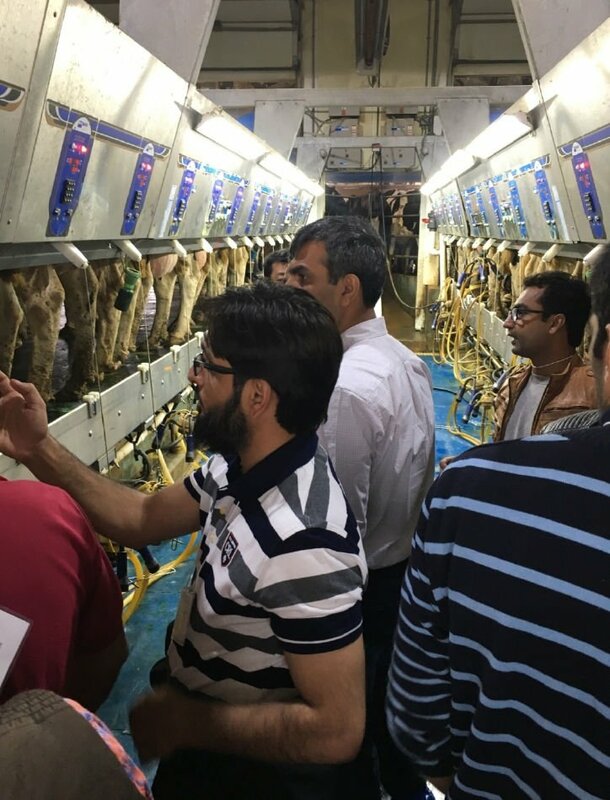 The Dairy Short Course was on the Pakistan delegation’s itinerary because it addressed a wide range of management and marketing topics while being focused and organized. The course was celebrating its 20th anniversary; the event was organized by Global Dairy Outreach in conjunction with Global Cow Ltd. The Pakistani delegation also attended World Dairy Expo, in addition to visiting dairy farms in both Wisconsin and California. Pakistan began using Holstein genetics in about 2005. Today one of the country’s largest dairy farms has 7,000 Holstein cows. “We’re now seeing several more farms with 1,000 or more Holstein cows,” he said. The United States shipped 70 live Holsteins to Pakistan in March 2016 as part of a dairy-development program supported by the USDA and the United States Agency for International Development. The cattle are housed at the University of Veterinary and Animal Sciences in Lahore, Pakistan. Dr. Hifz-ul Rahman, who manages the veterinary school’s dairy farm, supervises the cattle. Producers from small- and mid-sized dairy farms can visit the university farm for two- and five-day educational programs on dairy nutrition, production, health and dairy management. “We’re engaging the dairy industry so they can see Holstein cattle and evaluate performance,” Rahman said. Raza said one of the objectives of the university program is to help Pakistani farmers see and compare for themselves differences in milk-production capabilities. That could be between breeds or even between water buffalo and Holsteins. Rahman and his colleagues regularly share data with Pakistan’s private-sector dairy industry. The past decade has presented a learning curve related to producing Holstein cattle in Pakistan, such as learning how to properly feed the large-framed bovine breed. One of the reasons the gap has narrowed is that Pakistan now imports soybeans and corn to help boost the nutritional quality of feed. “We’ve imported between 1.5 million and 2 million tons of corn annually in the past decade, and the demand for U.S. soybeans continues to grow,” he said. The group from Pakistan received funding to attend the International Dairy Short Course and World Dairy Expo through the Cochran Fellowship Program. The program, named for U.S. Sen. Thad Cochran, R-Miss., provides short-term training opportunities to agricultural professionals from middle-income countries, emerging markets and emerging democracies. Its aim is to help eligible countries, such as Pakistan, develop agricultural systems necessary to meet the food and fiber needs of their domestic populations. It’s also intended to strengthen and enhance trade linkages between eligible countries and agricultural interests in the United States. According to USDA’s Foreign Agricultural Service, about 600 Cochran fellows visit the United States each year, generally for two to three weeks, to work with U.S. universities, government agencies and private companies. They receive hands-on training related to agricultural management, development and other areas.